Looking for your next holiday destination? Why go abroad when the world's coming down here, to our very own Portuguese paradise. Want to go holidaying sometime in February or March this year? Don't go skittering to travel agents with your visa yet-you might be forgetting that one of the world's most coveted tourist hotspots lies right here, within our tri-coloured borders. 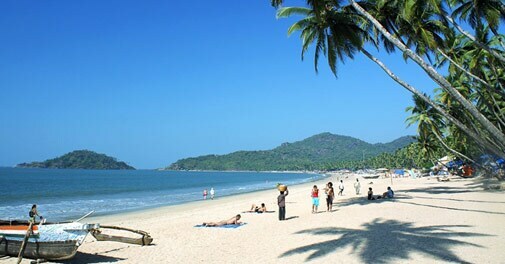 Ask anybody-February and March are among the best months to visit Goa. It's a time when hotel and airfare deals are relatively easy on your pocket, and nights in the coastal city virtually come alive - courtesy its nightclubs and pubs. What's more, you will also be spared the chaos that marks its more bustling months. So, whether you are a young couple looking for a quiet time or a family trying to escape the trappings of city life, Goa could be just the escape you have been craving for. But, oh! You have marked December 31 as your visit-Goa date. Why wait? All the nightclubs will be packed around that time, and you could get the same ambience even now - minus the chaos. Good weather lies in store, with hardly any rain or humidity on the horizon. For those who came in late, Goa Tourism had won the title for the best honeymoon/romantic destination at the International Tourism Conclave and Travel Awards (ITCTA) last year. A panel of judges took the decision after taking many factors, including beach weddings, music festivals and the clubbing scene, into account. The epitome of a paradox, Goa may seem like a laidback, happy-go-lucky place by day, but it comes alive at night with a host of nightclubs, pubs and shacks. Clubs like Tito's, Mambo's and SinQ Beach Club in North Goa are popular with tourists all year round. For instance, the SinQ Beach Club at Candolim, North Goa, has taken Goa's party scene by storm. Conceptualised keeping different shades of the party lover in mind, it has a classy nightclub for the all-out Elvis fan; an open-air lounge area with a discotheque for those who like to take their moves outdoors; and a poolside area with stylish cabanas for folks who want to keep things nice and private. An all-time party club, it may just turn out to be the culmination of your search for the perfect party destination. Got an evening free? You could visit the beach where Mumford and Sons recorded their landmark song 'The Cave' while riding scooters along sandy stretches. Wait, there's more! If you plan your trip towards the end of March, you may get to be a part of Easter preparations - which is another festival that's celebrated with gusto in Goa. Other events that take place during this period are Shigmo, the Goan version of Holi, besides a state-wide Carnival. A beautiful mix of good food, great music and soothing scenery, Goa is exactly the place your family needs for a memorable stay. And if you are feeling really experimental, try your luck with the local fenny!